Finally, more details about the latest 2019 edition of the Louis Vuitton Tambour Horisszon Smartwatch has been revealed by the luxurious fashion brand itself. They confirmed that the new watch is coming at the launch of Qualcomm's new Snapdragon 3100 processor, which features inside of the second-generation smartwatch. Ans, it will once again run on Google's Wear OS operating system. The addition of that 3100 processor would comfortably help the 300mAh battery deliver a day of watch time and as much as up to five additional days when using the Horizon in watch mode. The Watch mode is a new feature where the smartwatch only displays the time and offers limited access to its smart features. 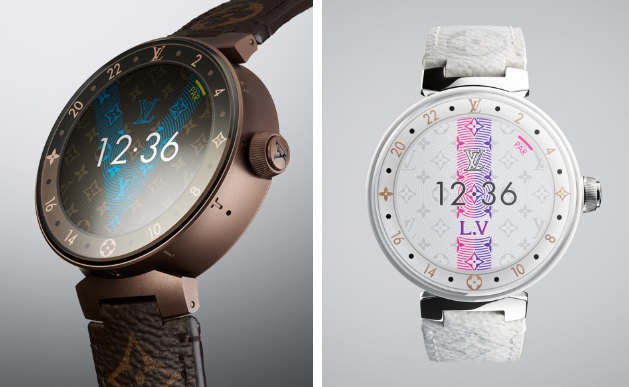 Louis Vuitton's new smartwatch is set to retain the regular circular look as its predecessor and comes with a choice of two models. 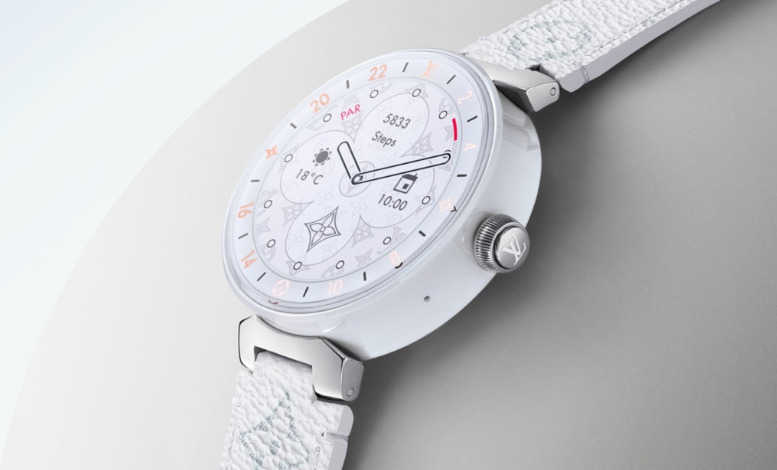 The Pure White model that features a white polished ceramic 43mm case that measures in at 12.6mm thick. While the second model design features a polished steel crown and a black sapphire glass case back that will, of course, don the iconic LV logo. There's also a glitzier Pure White & Diamonds version that packs in 34 diamonds. 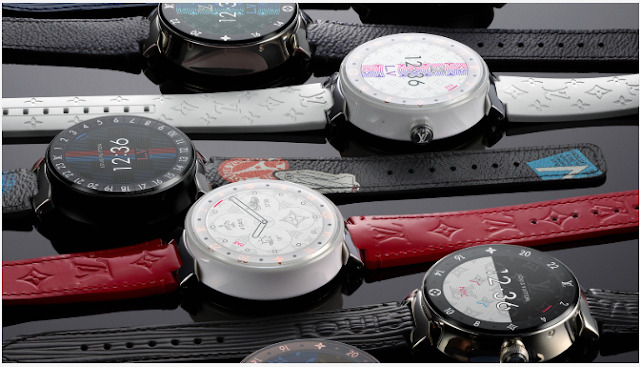 Both models are water resistant to up to 30 meters and include interchangeable straps with a stainless steel buckle. Also, improvements have been made to the display but it does appear to feature the same 1.2-inch, 390 x 390 AMOLED touchscreen display as the first watch. Taking the rest of the specs into consideration, the new edition has a 1GB of RAM that accompanies the processor, a microphone to support Google Assistant and NFC to unlock Google Pay contactless payments. 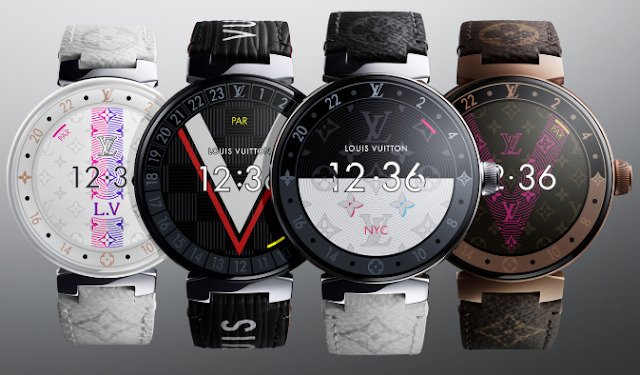 Again, all the usual Wear OS features are expected to be there and Louis Vuitton extras like customizable watch faces including the useful My Travel face and My 24 Hours watch face that can display details such as multiple time zones and even a pollution indicator. There's also the LV City Guide app and a host of iconic Louis Vuitton watch dials. For the price, Louis Vuitton hasn't revealed how much the Tambour Horizon 2019 edition will cost or when it will be available for order yet, But, it's safe to assume it won't be too far off the £2,140 price tag of the first Louis Vuitton Tambour Horizon.